We were inspired by @romylondonuk to make some protein balls of our own. These ‘truffles’ are the ultimate raw, dairy free, gluten free, vegan, protein packed, guilt free treat! Enjoy! Combine all ingredients, apart from the Cacao powder, in a food processor and blitz well. 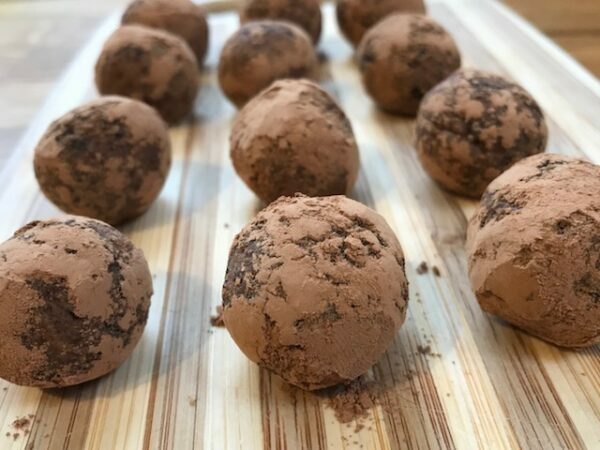 Roll into 9 balls, and dust with the cacao powder.